I have always loved art. I see beauty in some of the oddest of places. Don't we all? 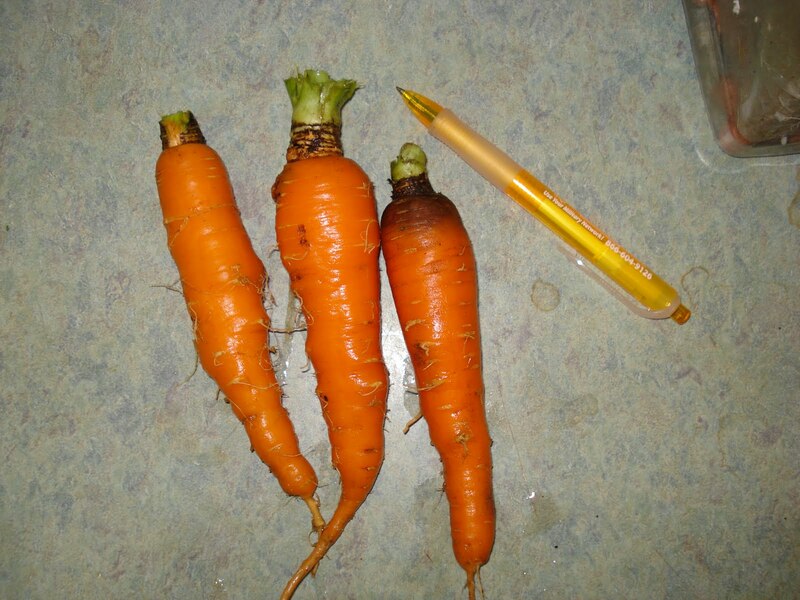 However, there are times when the normal is the 'piece de resistance': garden carrots. Art... it appears wherever it can, whenever the whim arrives. 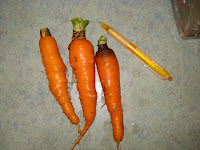 I prefer the pencil straight carrots that my grandchildren draw. I have several of their colorful creations taped on my cabinets displayed as art in my kitchen. 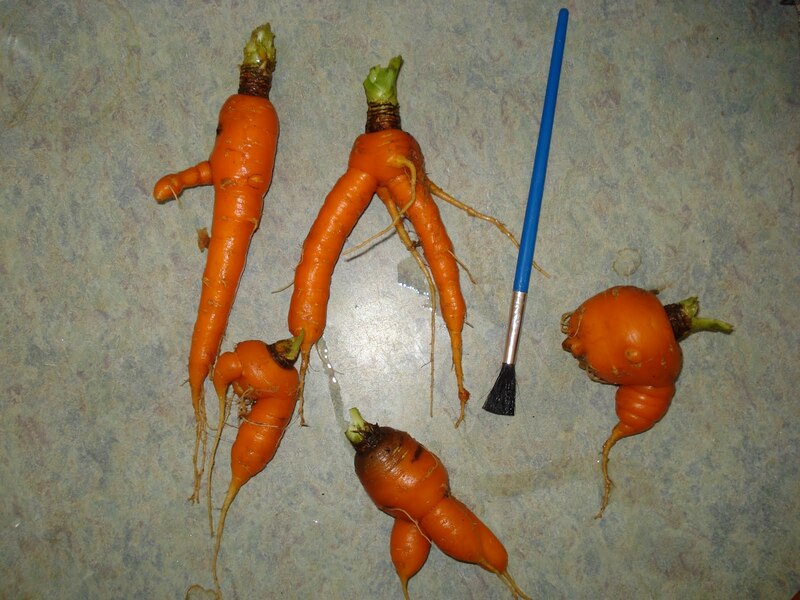 Now to the carrots themselves. We did all the right steps, fertilized in fall, rotor tilled prior to winter, staked the fence posts late winter, rotor tilled to get that soil up to fluffiness. 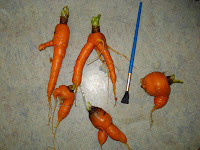 I still don't know the proper farmer's terms for preparations... but dirty shoes, muddy boots, filthy sneakers... we had them going great and early spring - Yahoooo into the ground went the long rows of carrot seeds, one by one. I went out and personally congratulated each seedling for sending a tiny hair up out of the ground. Weeded and thinned as true leaves arrived on station. Fed and watered as sprouts moved in the breeze. Then... come late s ummer... almost fall... pulled out my crop to see Picaso, Van Gogh and Salvador Dali had been underground screwing with my plants! HEY!!! Couldn't help but laugh at these beauties. Isn't that the goal of art pieces? To evoke emotion... even changing thoughts. Therefore; gardening, a dirty job, but certainly not a thankless one. Art works can be found anywhere, and discovered by young and old.